Does what it does better than any other suite of such tools we have seen. Does what it does safer than many of the older tools, especially when it comes to cleaning the Registry. Much of what System Mechanic does can be found either within the Windows OS already or by downloading dedicated free alternatives. Although there is a strong case to be made for system utility suites being something of a software dinosaur these days, especially considering the advances made in the Windows OS itself and the inclusion of free optimization tools within it, having everything you need to keep your PC running smoothly and efficiently all under one roof and with a single easy to use interface should not be dismissed out of hand. If you are the type of person who likes to fiddle with system settings, and employs old-school utilities to clean up the Registry for example, then System Mechanic 11 may do it better, faster and perhaps most importantly safer. Remember when you had to use a whole host of 'utility downloads' just to keep your PC running smoothly? Windows has had optimization tools built in for ages now, so surely the days of PC optimization suites are long over? Not so according to iolo, which has just released System Mechanic 11 - the latest suite of such tools to hit the market since it first launched way back in 1998. With over 40 million users since those early days, System Mechanic is certainly the best known of the tune-up suites for Windows. 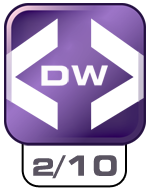 Here at DaniWeb we last reviewed the software more than two years ago now when version 9.5 had just been released. Back then I tested it on a six month old Windows 7 powered netbook and was quite impressed with both the ease of installation and the ease of use. But not as impressed as I was with the amount of hard drive data debris it uncovered and the performance improvements it brought to my day-to-day work machine. System Mechanic 11, on the other hand, is very different. Instead of being 'quite impressed' I have to admit to being very impressed. Starting with the installation which, a couple of years ago, took 15 minutes of my precious time but with version 11 was done and dusted within five minutes of starting the download. I was equally 'very impressed' with the new interface which is not only much slicker looking and compact than before, but courtesy of the iolo software engineering team is also much more efficient. Fire up the application and let it perform a quick system scan, which should take no longer than a minute or two for the average machine, and you will instantly be presented with a set of recommendations for improving system performance and security by way of the System Mechanic 11 dashboard. Further information is just a click away for every 'problem' found, which is useful to view if you are unsure about what has been detected and what System Mechanic plans to do about it. The high priority items will be marked in red, enabling you to investigate these first. The dashboard itself is nicely streamlined to provide one-click control over the automatic maintenance features and at a glance status reports on the things that matter, and I like that approach. I also like the fact that the tools themselves (more than 50 of them) appear to have been given something of an under-the-hood tune up; end result being that they too run more quickly and efficiently. This version of System Mechanic would appear to dig deeper, uncover more problems in less time and fix them in short order. Everything from the initial scanning to the problem repair and cleanup has been supercharged, or at least that's what it feels like. With more than 50 separate tools, integrated within a single management console and accessed during a single system scan, System Mechanic 11 employs what it calls "Real-Time Performance Optimization Technology" which actually just means, from what I can tell, that it sits there 'always-on' to optimize data storage on the fly courtesy of something called AcceleWrite. Think of it as a pre-fragger rather than a de-fragger, preventing data fragmentation in the first place by writing files to the drive with optimum efficiency. Fifty tools, did I say? Yep, but I'm not going to list them all here as it would take too long and be more than a little boring. You can dig around at the iolo website for plenty of information on everything that System Mechanic 11 does, to be honest. However, some of the tools included in that number are: a Total Registry Revitalizer, PC Cleanup, Program Accelerator, Memory Mechanic (to reclaim 'wasted' RAM in real time), Startup Optimizer, CRUDD Remover, NetBooster, Privacy Cleaner and a Designated Drivers tool that updates all your device drivers. What iolo also does is employ 'Tune-up Definitions' provided as weekly updates, free of charge, to the suite. These mean that System Mechanic 11 doesn't have to adopt the kind of one size fits all approach that many such utilities do, and which can lead to an increased chance of false positives and the resulting system problems they bring. By applying specific fixes for specific problems, rather than a single set of fixes for a range of problems, the software can intelligently adapt to a huge number of individual configurations and software environments. Although messing with the system Registry isn't, truth be told, actually really necessary as 'orphaned entries' are unlikely to have any real world impact upon system performance (we are talking micro-seconds of delay, at worst, in terms of system access to the Registry even if the thing is full of orphans) System Mechanic 11 seems to have amongst the safest clean up process I have come across for those who simply must declutter everything. Certainly during the testing period for this DaniWeb review, there were no issues with system instability and we ran into no trouble when cleaning up the Register. Obviously, whenever you start messing around with the system like this there is a chance, however slim, of something going wrong; therefore, DaniWeb recommends that you have proper backups of your data as well as a backup of the system Registry before letting any tune-up suite loose on your computer. That said, the regular definition updates and the research work done by the iolo Labs folk puts System Mechanic ahead of the pack when it comes to user confidence that the automatic repair tools will improve, rather than destroy, your system performance. Home users get something called 'Whole Home Licensing' which means that, for non-commercial use only, the software suite can be installed on an unlimited number of computers without any additional fees being paid. Although iolo claims that System Mechanic 11 is "fully tuned for and compatible with all Microsoft operating systems from Windows XP to Windows 8" I was not able to assess this as I don't have a Windows 8 machine here at this time. As well as a 'Pro' version costing $59.95 which adds antivirus and antispyware tools into the mix, DaniWeb members can also download a totally free version of System Mechanic by following this link which comes complete with the following tools: Registry Tuner, Startup Optimizer, RAM Leak Repair, Disk Defragmenter, Junk File Cleanup, Internet Repair and Program Link Repair. Your download (18.7 MB) should begin in a moment. If not, click here. However, when I do the download I end up with a 573K file that, when run, identifies itself as "Iolo Download Manager". When the downloaded file does not match the stated size (and we are not talking a few bytes of rounding error) that's a huge warning flag. It's possible that the 573K file will only start the installation from the web site. It's also possible (and I've been burned by this before) that the download manager will somehow replace my tried-and-true download process with a new layer which I didn't ask for and don't want. When I ran the download manager in a virtual machine, the file downloaded was 28.02 meg. Again, vastly different from what was stated. When I install a program that is supposed to "tune" my system by playing around with critical system components I expect that the programmers are particularly attentive to the details. If they can't even get the file sizes right (or even close) then my first impression is that they are not. However, based on the recommendation of a highly trusted source I believe I will give this a try. Windows tune up utility is a nice software program which tunes up the computer just like it was on the day first. It optimizes the computer to the fullest and the system works smooth as it was one the first day. I cannot vouch for the 'free' version of the software Jim, not having tried it myself. I've been looking at the trial version and I'm impressed. I tried the Free version on both my laptop and PC and was sufficiently impressed that I took out the One Year, all machines, Special Offer upgrade. Both machines are performing better than previously. Performs quite well, removing clutter. However not much noticeable changes in acutual performance. Score 7/10 and would buy it if its discounted and cheap ($10). Definitely would use it if free. Personally, Windows registry is a bit liking mating hedgehogs. If you are not fully acquainted with how the beast is going to respond to your 'tinkering', you are in for some very irksome and prickly surprises. The best performing registry is one that Windows fixes itself, try 'logging' off, turn your wireless keyboard/mouse off and leave your machine running for 2-3 hours on it's own. When you return you will be pleasantly surprised at how responsive Windows will be to your touch. It's a much better deal that mating hedgehogs, for sure! Should I ever need to do a quick check on the condition of my system registry, I use my old reliable favourite, CCleaner by Piriform. The team there, is made up of some of the best IT 'Guru's' known to to the science. Edited 6 Years Ago by Palebushman: Mozilla spiell chicka nut wurkin. Agin! !